Buying a home is one of the biggest decisions you’ll make. With the cost of housing skyrocketing, buyers are increasingly turning their attention towards townhouses as an affordable option. They’re an ideal choice for those looking for a larger living space than a typical condominium but who aren’t in the market for a detached or semi-detached house. Since townhouses are connected to neighbouring units on both sides, the tradeoff is that they usually come at the expense of outdoor yard size. Purchasing a townhouse gives you full ownership of the home’s interior living space as well as any outside yard area as designated on the deed. 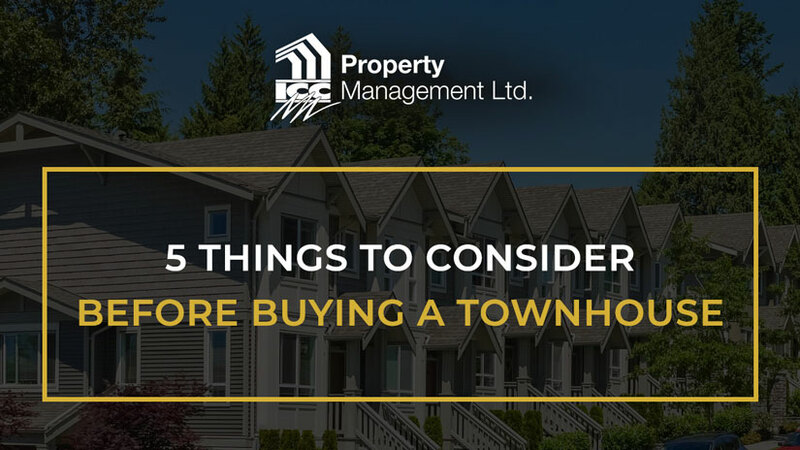 However, because there are usually communal elements involved with any complex, most townhouses come with special obligations that carefully need to be considered before buying. Let’s take a look at the 5 things to consider before buying a townhouse. Townhouses generally fall into one (or a combination) of three categories: freehold, condominium, or part of a condominium corporation. It’s important to have a solid understanding of what each one means before making your purchase. As the name implies, a freehold townhouse is a property that is “free from hold” of any organization or entity apart from the buyer. It simply means that you have no special ownership obligations apart from the typical laws and regulations that would apply to any homeowner. Most detached and semi-detached houses would be considered freehold. It should be noted, however, that your townhouse could be considered a freehold condominium. In this case, you’d have more freedom to renovate or make alterations to the house, but you still may have to pay maintenance and/or management fees to support the communal elements. It’s more likely that your townhouse will either governed by a condominium corporation or a condominium community. The difference usually boils down to communal property ownership: a condominium corporation-run townhouse typically includes an ownership share in any common areas or facilities while membership in a condominium community usually doesn’t. Meeting these obligations is mandatory, and owners who don’t comply can face financial and legal penalties. So when buying, make sure you have a solid understanding of what is included in the purchase price. Ownership of a townhouse usually doesn’t extend beyond the unit’s interior. Exterior walls, windows, walkways, lawns, parking areas, and facilities may be considered communal property. To that end, you may face restrictions about the type of renovations or modifications you’re allowed to make. You likely won’t be able to make any significant structural or decorative changes to the exterior, or any modifications that impact communal access to the property. While this may not be an issue at the moment, it may become one down the road. So it’s a good idea to know what renovation/modification restrictions may be in place. DON’T KNOW HOW TO INCREASE THE VALUE OF YOUR RENTAL PROPERTIES? Will you expect to have exclusive use of your driveway, patio, or walkway? In some cases, the answer may be no. If other residents need to enter or cross your property to access their own, or to reach common areas, you’ll likely have to grant permission to do so. These easement rights may impact your enjoyment or use of your own property, so it’s critical to know in advance whether this applies. The communal nature of living in a condo or townhouse means you may be involved in disputes with other residents, or with the governing board. Recent changes to the Ontario Condominium Act established an independent body called the Condominium Authority Tribunal (CAT) to help resolve condo-related disputes. While CAT is more convenient and affordable than going to court, it’s designed to be a last-resort measure. Does your condominium offer any type of dispute-resolution process to help you resolve any significant issues? Townhouse complexes invariably need property management to run smoothly. Whether these critical functions are handled by an individual or a property management company, it’s important to do your homework and evaluate their track record. 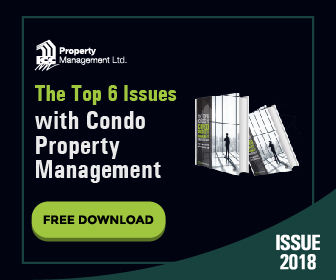 In Ontario, the Condominium Management Regulatory Authority (CMRAO) regulates condo property management and maintains a database of complaints, licensing issues, and other problems. A search of their website along with any other online resources can give you a good sense of their service quality. Owning a townhouse is an affordable option in today’s expensive and highly-competitive housing market, especially for first-time buyers. However, townhome ownership also comes with certain obligations and responsibilities beyond those faced by traditional homeowners. To prevent unpleasant surprises later on, make sure you have a clear understanding of both your responsibilities and usage restrictions before committing to buying your property. ICC Property Management is the leading property management company in the Toronto area, offering a full range of building administration and management solutions designed to ensure condo owners maximize their property value and living quality while bringing communities closer. Contact our award-winning team today for a free proposal and to learn how we can bring property management excellence to your condo.